Aqua-Tech is Celebrating! | Aqua-Tech Sales and Marketing Inc.
Home / News and Events / Uncategorized / Aqua-Tech is Celebrating! 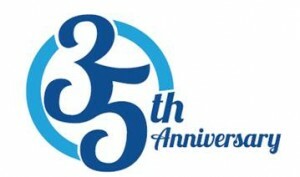 Aqua-Tech Sales & Marketing Inc. is celebrating it’s 35th Anniversary! This year marks the 35th Anniversary for Aqua-Tech Sales & Marketing Inc. as one of Canada’s premiere Manufacturer’s Representative and Distribution Companies. Established in 1980 by president and founder Bill Palamar, it has successfully grown into a dynamic agency with more than 70,000 square feet of warehouse and office space located in Burlington, Ontario and a 5,000 square foot warehouse and office facility in Port Coquitlam, British Columbia to service the Western Canadian Marketplace. Aqua-Tech looks forward to the future and serving the next generation of customers with the same enthusiasm and expertise provided to their existing customers. To celebrate, on August 8th, 2015, employees of Aqua-Tech and our Agents from across Canada, along with several of our loyal clients and customers will be sailing the Toronto Harbour aboard Mariposa Cruise Lines flagship The “Captain Matthew Flinders“. Thank you to everyone who has supported us thus far, and here’s to another 35 years!